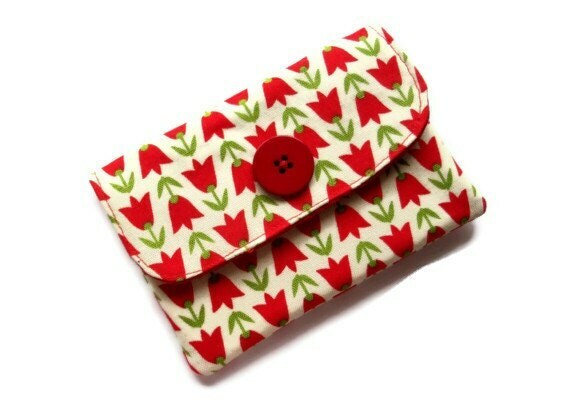 Open the purse and you will see it has been lined with a red cotton fabric. The purse has 2 pockets , the opening on the front pocket is slightly smaller than the main one ,but it is still easy to pop your cards in there. The purse/ wallet closes with Velcro and has a red button detail on the front.